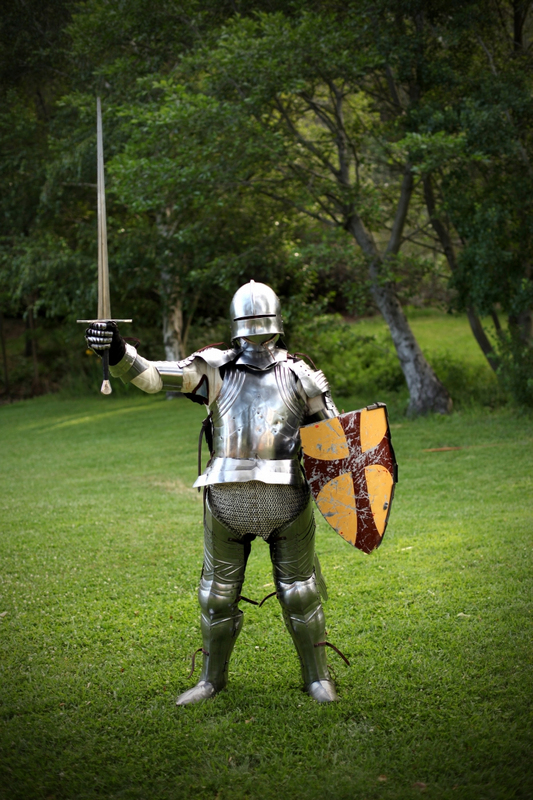 What does the passage in Ephesians 6 say about the Armor of God? 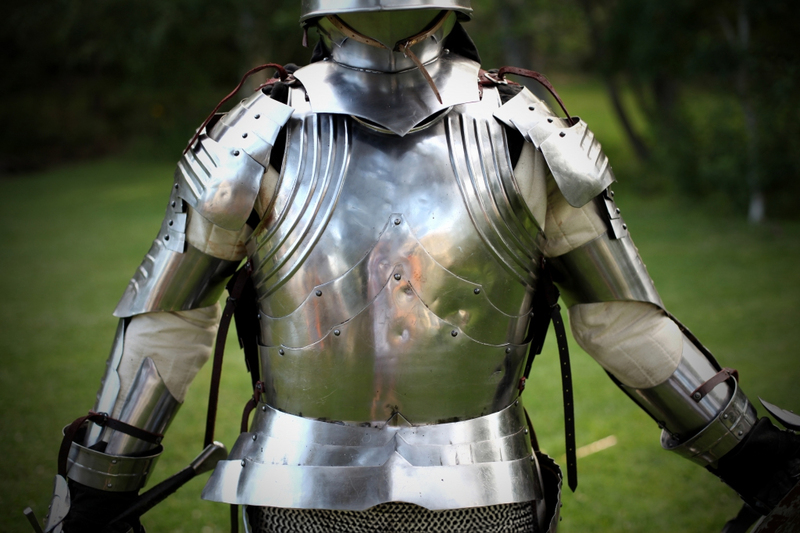 Next we will discuss the suit of armor, piece-by-piece, in the order listed by Paul in Ephesians. Guess where the strength of a swordsman comes from? Strength comes from his waist—his core. The belt of truth is listed first because truth must be at the very center of your being. The Greek word used here for “waist” can also be translated as loins—”Stand, therefore, having your LOINS girt about with truth” (KJV). The loins are the lower part of your back, which, together with your waist and stomach, form the very center of your strength. When swinging a sword, strength and speed are developed from your core. So strength, like truth, must be centered in your core. 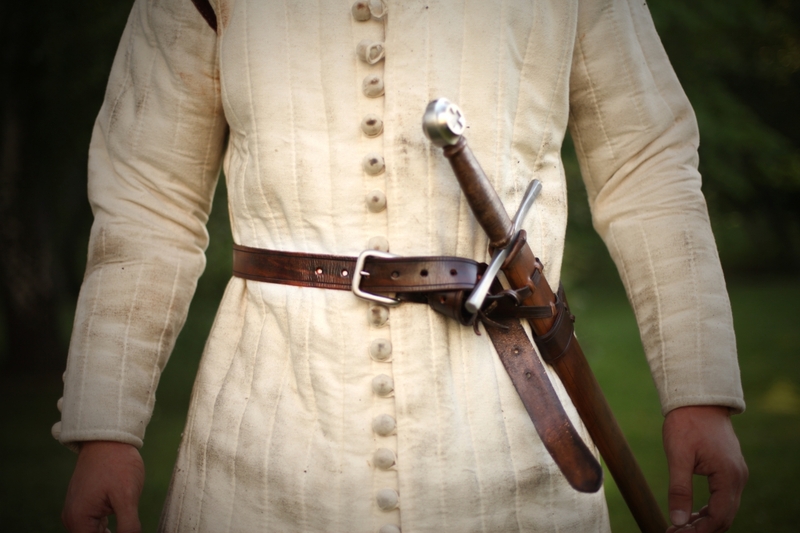 Another key observation about this piece of armor is listed first in Paul’s list because it holds everything together: your movement, your weapons, and your security while fighting. You cannot move as fast and be as agile as you could be if your belt and clothing are secure. Just like in real life, if we stop telling the truth, we do not have a clear conscience to use all of our battle weapons, we become distracted as we get tangled in a massive web of lies, and we cannot move forth with clarity of mind and purpose. 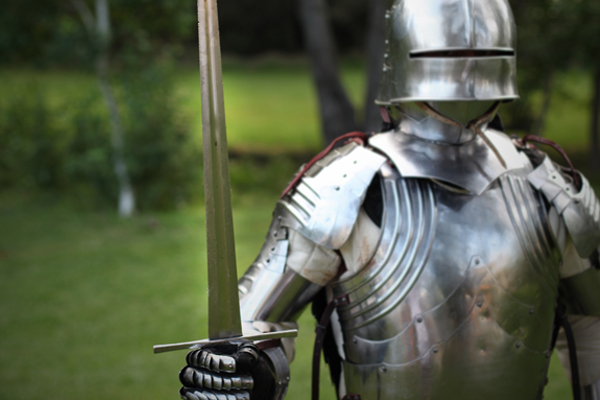 The Breastplate of Righteousness is a piece of armor that is used against Satan in battle by God and warrior alike. God himself is symbolically described as putting on a Breastplate of Righteousness when he goes forth to bring about justice: “He put on righteousness as his breastplate, and the helmet of salvation on his head; he put on the garments of vengeance and wrapped himself in zeal as in a cloak” (Isaiah 59:17). The Breastplate of Righteousness gives us assurance that we take with us into battle. 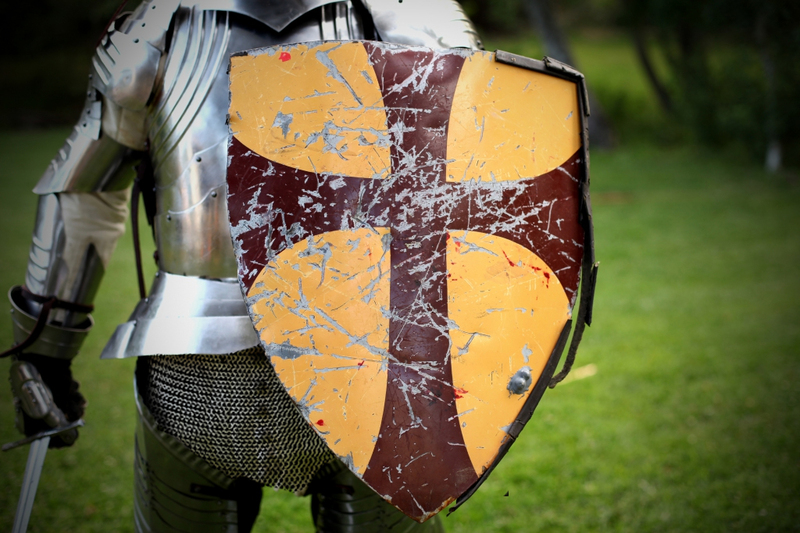 It’s what a warrior regards as passive, defensive armor—you strap it on and you know it’s there: A Christian knows that he’s forgiven, that God is protecting Him, and he doesn’t have to worry about it! Unlike a shield of faith, which WE need to maneuver to deflect against threats, the Breastplate of Righteousness is passive. You install it, and don’t think about it or use it. But it can save your life. The Breastplate of Righteousness does not come from us, it is given to us when we receive Christ and trust Him as our Savior: “Not having a righteousness of my own that comes from the law, but one that comes through faith in Christ, the righteousness from God based on faith” (Philippians 3:9, NRS). Another useful way to think of a breastplate is to consider it the piece of armor that holds together your emotions! 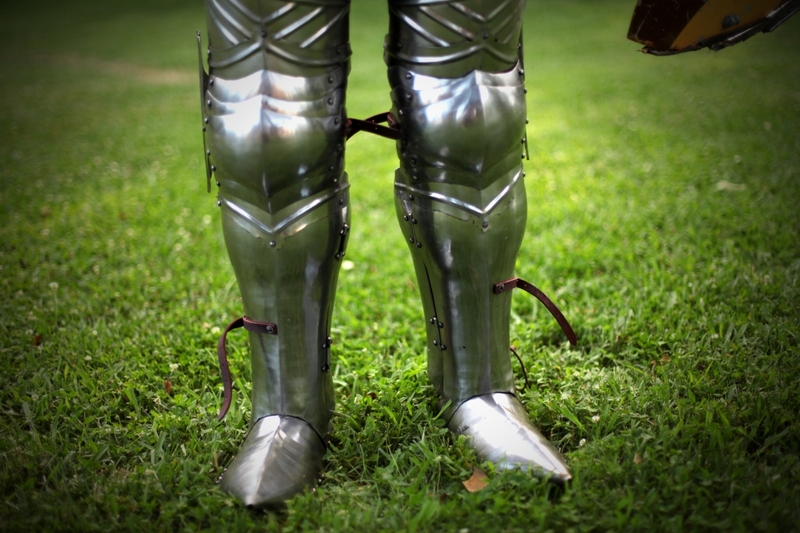 The footwear of the Roman soldier was both protective and supportive. But even more importantly, this passage is talking about your footwork. During a battle, movement is everything. Failure to step in for an offensive strike when the opportunity presents itself can mean that a battle can continue longer than you can bear—or even allow another enemy more time to come up and take you from behind. Defensively, if you fail to move out of the way when your opponent lunges, your own death can loom near. Shifting your balance and weight effectively in battle simply cannot be done without effective footwork. When this passage is talking about fitting your feet with the “readiness that comes from the Gospel of peace,” this means that you should steer conversations and encounters to the loving Gospel (either in word or in deed), but only when the opportunity presents itself. It can also mean not presenting “pearls to swine” when it would be inappropriate to discuss spiritual things. As Christian warriors, we need to be ready and able to present and share the Gospel. The Shield of Faith enables a warrior to advance and “gain ground” in battle. Having a shield is the only way to “take a hill” while running against a volley of flaming arrows. Faith is the way that we gain the ground in life that God wants us to gain—a victory over a personal challenge, success at school, at work, in life. And just what is a “flaming arrow of the evil one”? 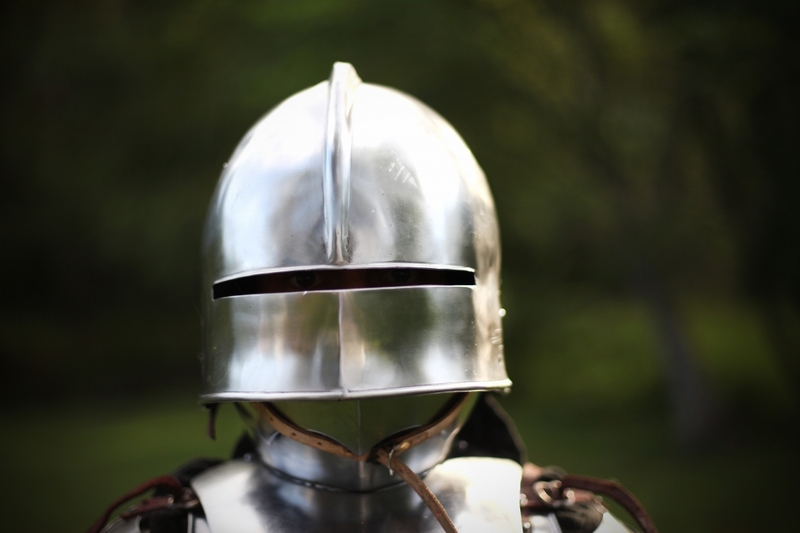 Quite simply, it is an attack brought by the enemy—one that is typically aimed towards your head (protected by the helmet of salvation), or your chest (protected by the Breastplate of Righteousness). Where does our shield come from? It comes from God Himself: “You give me your shield of victory; you stoop down to make me great” (2 Samuel 22:36). Here is another observation about the Shield of Faith: Unlike the other parts of spiritual armor, the shield moves to wherever it is needed. It is moved by the Christian, in his will, and by his will, to wherever and however it may be needed in a particular battle. When medieval battle fields are excavated today, historians have learned that the majority of fatalities were caused by arrow shots to the head or face. Without having trusted Christ for our salvation, we show up to the battle field of this life and the next wearing no helmet! “For who has known the mind of the Lord that he may instruct him? But we have the mind of Christ” (1 Corinthians 2:16). “Finally, brothers, whatever is true, whatever is noble, whatever is right, whatever is pure, whatever is lovely, whatever is admirable–if anything is excellent or praiseworthy–think about such things” (Philippians 4:8). Knights should be strong in both spirit and body. Ultimately, a knight is victorious in battle through strength of spirit, not by flesh. Victory in a sword battle is attained by the one who fights with sheer will and spirit, not by one who has only mastered the mechanical movement of sword fighting. A knight’s spirit is made strong only by God, and by spending time surrendering to God. Real practice is necessary. This means Bible memorization, meditation, and advanced learning.